Free Shipping Included! 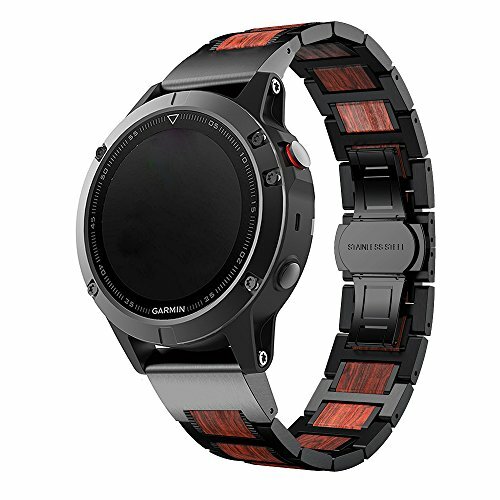 LDFAS Fenix 5 Plus Band, Natural Wood Red Sandalwood Black Stainless Steel Metal Watch Band, 22mm Quick Release Easy Fit Strap for Garmin Fenix 5/5 Plus/Forerunner 935 Smartwatch by LDFAS at iShare Maps. MPN: GF130202. Hurry! Limited time offer. Offer valid only while supplies last.